Ladies delicate diamond and chain bracelet of classic contemporary styling. 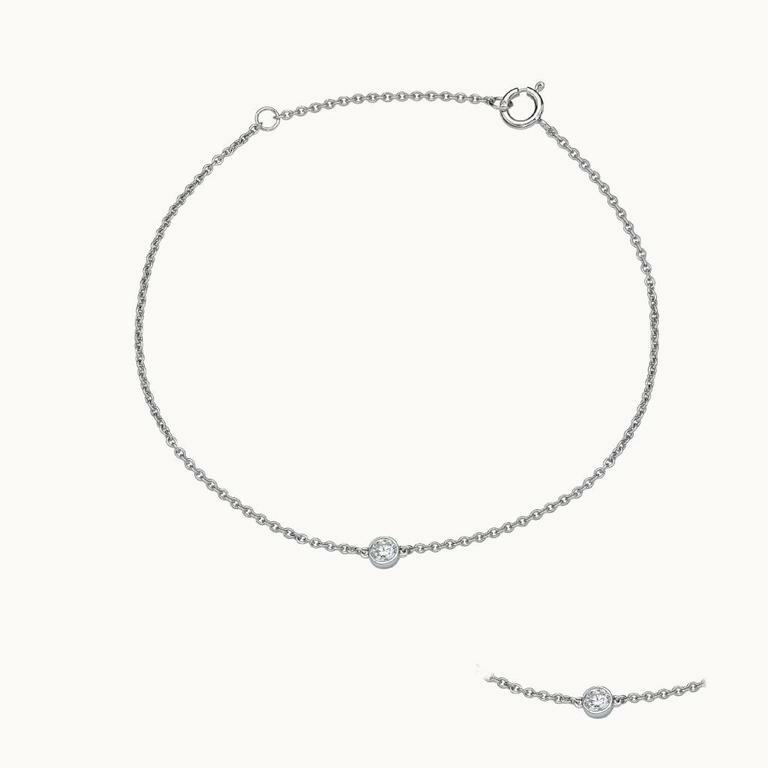 The bracelet is crafted in 14k gold and is set with one round brilliant cut diamond. This diamond has a weight of 0.09ct and is full bezel set. The bracelet includes an adjustable gold ring to alter the length and secures with a spring ring clasp for safety.